I finally set up nginx as a proxy for my apache box. This is not true nginx, and I can't run SPDY on it yet, or even SSL, but it sure does speed stuff up! Will you all quit nagging me now? I kid. Very few of you actually got on my case about nginx. Yes, there are older webapps that don’t support nginx. But at the same time, what if I could have my cake and eat it too? What if I could use nginx to serve up the static files and apache for the rest? That would mean I would be able to install nginx on my CentOS 6 box as a reverse proxy. It’s actually not that hard, but let me explain why this is a good idea. 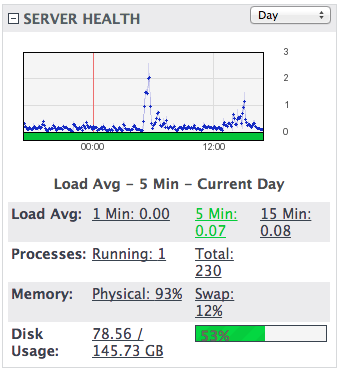 Apache takes up a lot of server memory, which nginx does not. Nginx is awesome at static files, but not the best at dynamic, and you’ll need a module like php-fpm for that. But… One of the sites on this server has a gallery that takes up 50% of the webspace of all accounts on the server. Stop and ponder that for a moment. While I do have server-side caching (memcached and ZendOptimizerPlus) running, adding in nginx up front means my images would be served faster. Speaking of faster, by putting nginx in front, it makes it so only true http requests get passed on, which protects against attacks like DDOS and other brute-force attacks that aren’t nginx-related. I still have (and use) mod security, of course, as well as ConfigServer Firewall. More on that later. Let’s get this sucker installed! Oh, sorry? Was that supposed to be harder? It’s not. This is pretty much the simple part. Normally my next step would be to configure nginx (see Ben Tasker’s CentOS: Using NGinx to serve static files and Apache for dynamic for details) and apache. Unlike Ben, I have WHM on my server, which means when I build apache it’s with Easy Apache, which means any edits I make to my httpd.conf file get lost when I rebuild, which I do for when I need to upgrade PHP. It’s not super rare, nor is it super common. Still, I don’t really want to mess with it more than I have to. So I took the time to research my options, and came up with nginxCP and cpnginx. The real difference is CPNginx comes with a service to help you (yes, it’s pay). Since I’m an Open Source woman, I did nginxCP. The cost ($55 a year) for cpnginx was not a deal breaker, since they had a trial. A reboot of the httpd service and now all my non-SLL sites are served up on nginx! They stopped, because nginx didn’t let them get to Apache and CSF. Mind. Blown. Everything worked out of the gate, so I sat and watched my server load. Per-expected, since an httpd restart flushes my PageSpeed cache, the load spiked at .52 (this is still low). Then it dropped to .31 and then to .20, and it pretty much stuck around the .10 area. Memory, however, dropped for a while. That’s good! Slowly as things settled in, I made sure to post something new on a news/fan site, and watched things not go up very much. Nothing is weirder than watching your load drop to 0. The 93% memory is not a bad thing. On this server setup, I want to see somewhere around that at any point in time. The first time I saw it, though, I flipped out and my friend Benny (who is a cPanel goddess) calmed me down and explained how the ‘storm’ server worked. Real memory usage is about 40%, when load is above .40. The big spike was installing. The normal spikes at 14:00 and 14:30 were posts made in WordPress before nginx was installed. The ones at 16:00 and just after 17:00 are WP posts as well. That’s a nice change. SSL. Wouldn’t you know? Now you can use nginx as an SSL revese proxy, but it would obviate my cpanel add in, which right now seems a little smarter for long term sustainability than doing it 100% manually. The less I have to remember when I’m rebuilding apache, after all, the better. Still. Part of why I’m looking at nginx seriously is to speed up my SSL site which gets less caching by it’s nature. Weighing the pros and cons, I decided to stick with nginxCP as my theory is that by speeding up the rest, SSL will in turn be faster since there’s less memory being sucked up. Oh and I did check cpnginx about SSL, and they don’t support it either. That’s alright for now. I’m sure the future will change.